Hide deals from seller "Advanced Eye Care & Laser Center"
Limit 1 per person; may purchase 1 additional as a gift. Limit 1 per transaction. Valid toward all lenses and frames. Voucher may not be used with insurance coverage. Promotional value expires 365 days after purchase. 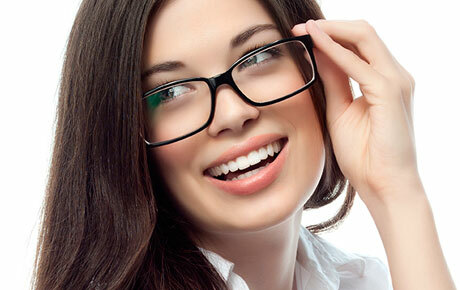 Improve your eyesight with 50% off lenses and frames at Advanced Eye Care & Laser Center in Wheaton ($100 value). Their large selection of designer frames will ensure that you like what you see. Conrad Stoll and Grishma Patel, both doctors of Optometry, have a passion for improving vision and the quality of life of their many pleased patients. Their superior care combined with state-of-the-art equipment and a comfortable atmosphere gives patients the opportunity to discover the latest eyewear trends in a no-pressure environment. In addition to eyewear, Advanced Eye Care & Laser Center offers eye and contact exams. Evolve your eyesight with this visionary deal. Eye care center in Wheaton that provides exams, eyewear and contacts.